JB Laps Bathurst in a Formula 1 Car. Posted on October 8, 2011 October 8, 2011 Author RauschCategories Formula1, NewsTags F1, McLarenLeave a comment on JB Laps Bathurst in a Formula 1 Car. Following the successful North American debut of the McLaren MP4-12C at Pebble Beach Concours d’Elegance, McLaren Automotive will begin a launch tour of its selected North America dealership locations. Prospective customers will have the opportunity to see the 12C in the metal and speak to the team responsible for groundbreaking newcomer. 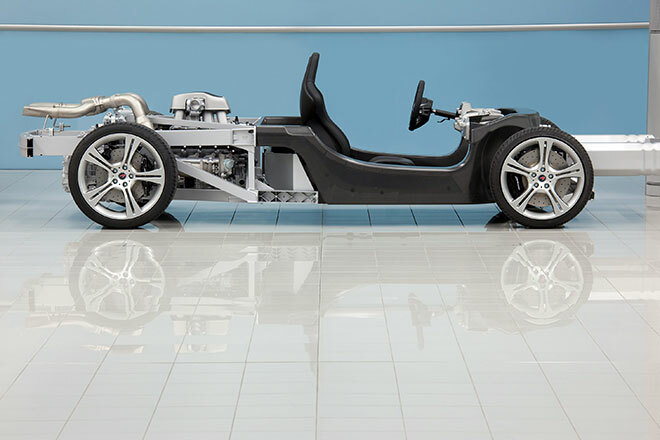 A Supernova Silver 12C, Titanium Silver 12C and the XP13 rolling chassis were presented to over 1,000 guests at the Pebble Beach event by a McLaren Automotive team including Managing Director Antony Sheriff and Design Director Frank Stephenson. Visitors to the McLaren Automotive display included Governor of California, Arnold Schwarzenegger and world-famous car collector, Jay Leno. These dealerships will be eight of the initial ten launch retailers for the North American market. Two locations, Newport Beach in Orange County, and Philadelphia remain open but will be appointed in the coming weeks. North American retailers will begin selling the 2012 McLaren MP4-12C from summer 2011 with a base MSRP within a range of between $225,000 and $250,000. 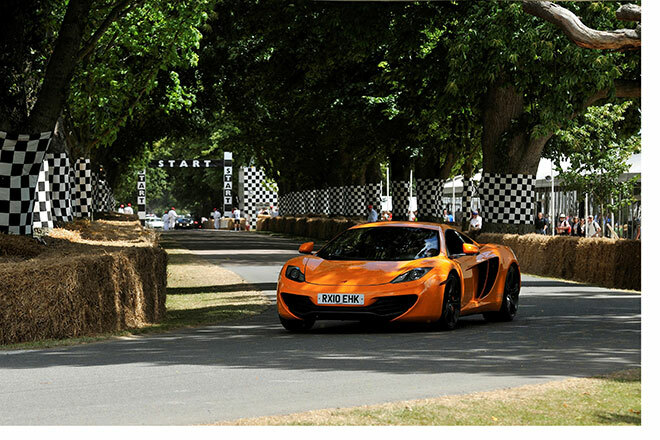 McLaren is set to produce their new supercar, the MP4-12C, which as expected is quite the endeavor. They are creating a new factory to produce this new model and factories aren’t cheap. In order to secure the funds necessary to build that factory, the McLaren Group has taken out a loan for 40 million pounds to fund this new Ferrari killer. This will be the first time since 2005 that the company has carried debt larger than 1 million pounds. Continue reading for the price details and how long it will take McLaren to repay the loan. Here’s how a supercar forms in a factory, that could double as a surgery theater, and finds it’s way into the hands of F1 drivers for a round around Goodwood racetrack. 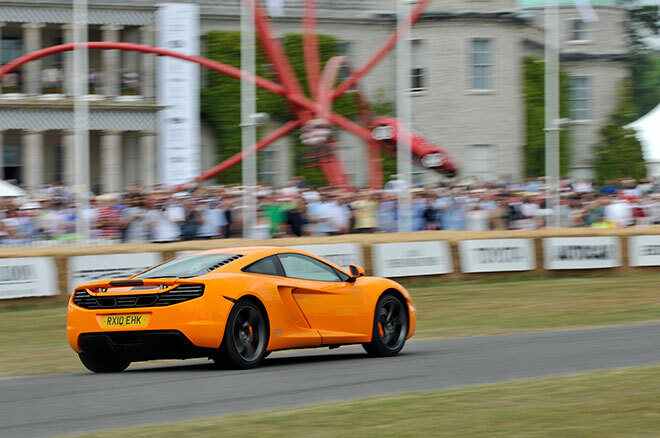 The McLaren MP4-12C sounds like an engineer’s fever dream. 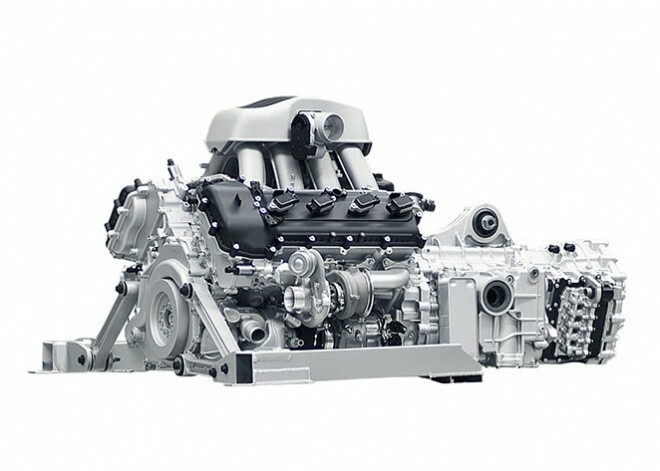 The twin-turbocharged 3.8-liter aluminum V8 engine, designed by McLaren, produces 600 horsepower and 442 pound feet of torque which should put your local tire supplier’s grandchildren through college. That monster is bolted to a seven-speed paddle-shifted gearbox. McLaren then crams that potent combination into a carbon-fiber monocoque that weighs just 176 pounds; the completed car will weigh as little as 2,866 pounds depending upon trim level. I would say those numbers all add up to an insanely fun ride and I think Jensen Button and Lewis Hamilton both agree with me.